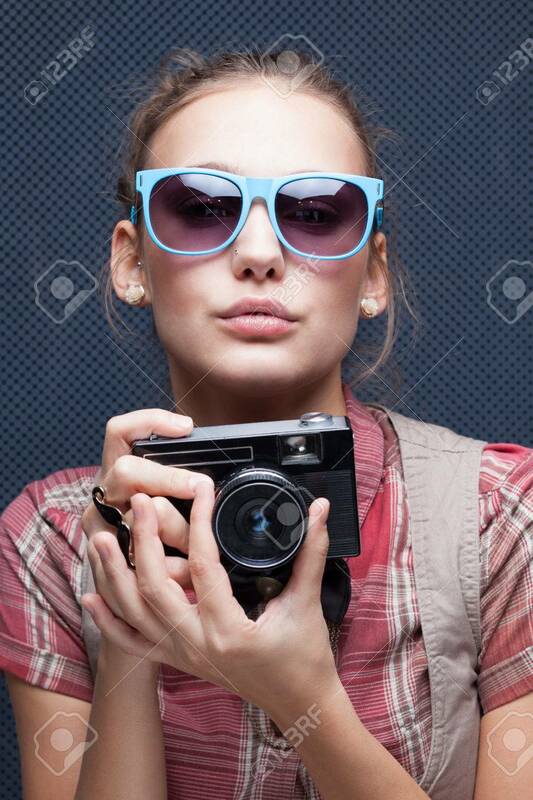 Trendy Girl In Glasses Playing The Ape With Camera. Duckface. Pouting Lips Royalty Free Fotografie A Reklamní Fotografie. Image 26411852.